Ron Vitale is a fantasy and science fiction author. Tired of reading his daughter books about the male hero rescuing the damsel in distress, he decided to write his own and take a different route. His heroines are three dimensional characters, with human flaws, who embark on journeys of self-discovery in wildly original and imaginative adventures through fantastical worlds of wonder. Description: Set two years after the events of Stolen, Cinderella desperately searches for her long-lost enemy, the Silver Fox, in an attempt to convince him to help her find her daughter. With time running out as only Russia remains strong against Napoleon’s army, will Cinderella sacrifice everything to save her daughter? Description: Set five years after the events of Found, Cinderella has settled down and accepted the day-to-day routines of a normal life. But when her teenage daughter travels far into the future and sends back a message that she’s caught in the center of a conspiracy that will lead to the destruction of the world, she needs to decide how far she will go to help. Without her magical powers, only a dark path exists for Cinderella if she wishes to reclaim her magic. 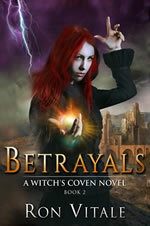 Will she sacrifice her own soul to save the world? And if she does, will it be enough to win? 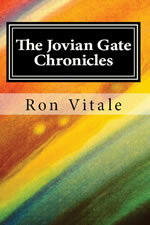 The Jovian Gate Chronicles is a crossover trilogy that is tied together with the Cinderella's Secret Witch Diaries books. You can enjoy either series on its own, but reading both gives you the full scope of the intricate plan that ties hundreds of years together with lots of adventure and excitement. 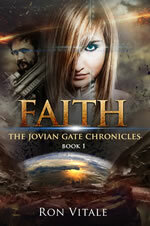 Description: Four loosely tied short stories bring you on an adventures: The discovery of the Jovian Gate, the first contact with aliens and how humans handle learning that an alien claims to be a prophet of God. Description: Set nearly two years after the events in Ahab’s Daughter, Morgan looks to break the sea curse that’s ruined her family. Morgan risks all to discover the secret of the fountain of youth and rescue Ishmael from the Dark Squid god’s evil influence. But all is not as it seems on the island with the famed fountain nor is the journey as straightforward as she had expected. With time running out, will Morgan break the spell that will crack open a secret beyond what she ever could have imagined? If not, all Morgan holds dear will be lost forever. Description: Set in an epic fantasy world and told from a woman’s point-of-view, Awakenings is the story of Sabrina who learns of her magical powers as a teenager and becomes a powerful witch. 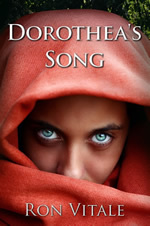 Bound when young in servitude to Thaddeus, one of the great house lords, Sabrina tries to outlive her past, but the choices she made then have always been a specter chasing after her. To right her wrongs and save her coven, Sabrina must face her greatest fear: the truth she’s hidden for nearly twenty years. But ancient evils do not care for truth and only want vengeance on her for what she has done. Description: Set in the same epic fantasy world as Awakenings, Sabrina is forced against her will to travel back in time to prevent a civil war in the Realms by murdering her house lord's half-brother. With the fate of the Realms in the balance, will Sabrina sacrifice everything in order to win and be reunited with her daughter? With precious little time, she will need to act or the entire Realms will fall around her. Description: Set in the same epic fantasy world of the Witch’s Coven novels, follow the young elf maiden Dorothea on a journey in which she fights against a coven of witches, a renegade elf lord and the humans who have all joined forces to conquer the elvish forest. Set against the real world struggle of the teenager Peter, who is struggling with his parents' divorce, he uses his imagination to escape to a world of make believe. Over time the fantasy world and real one become wrapped together. Will Peter set everything right before it’s too late or will he fall into the depths of madness and despair?